Improved Monitoring and Prevention Keeping Beachgoers Better Protected Environmental Protection Agency's 2007 Swimming Season Update shows state and territorial beach water quality managers are improving monitoring and prevention, and beaches were open for use 95 percent of beach days in 2007. "We're all doing more to prevent pollution, monitor water quality, and protect public health at America's beaches and this report reflects the progress, as well as the continuing challenges," said Assistant Administrator for Water Benjamin H. Grumbles. "EPA is strengthening the science and increasing public awareness to help state and local partners reduce upstream stormwater pollution and downstream beach closures." During the 2007 swimming season, some beaches were restricted because of contamination-related closings, but most beaches that did have closings were closed for less than two days. Beach days are those counted during the beach season for a given area. Many beaches are open seasonally, although beach days may be counted for most or all of a calendar year in warmer areas. Beach contamination is often from stormwater running off streets, fields, forests, and other sources. EPA and its state partners are continuing solid progress in collecting and reporting data which provides a good picture of water quality conditions at our nation's beaches. EPA is also working with its partners to develop and use tools to identify and reduce beach pollution. 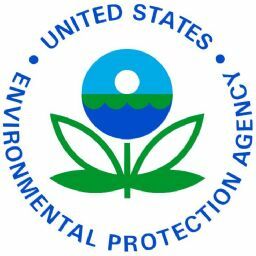 The EPA BEACH Grant program has made available $71 million to 35 coastal and Great Lakes states and territories since the passage of the BEACH Act in 2000. The funding level for beach monitoring is $9.75 million this year. Coastal and Great Lakes states and territories report beach monitoring and notification data to EPA on their coastal recreation waters EPA maintains an electronic monitoring and notification database, and provides states and territories with BEACH Act grants for monitoring and reporting their beach information to EPA. The information submitted by coastal states and territories to EPA regarding beach closings and advisories is reflected in the annual Swimming Season Update. This same information is available to the public.